In my last post I spoke about deciding between three amazing women/artists to focus my next semester of work in The History of Interdisciplinary Arts at Columbia. 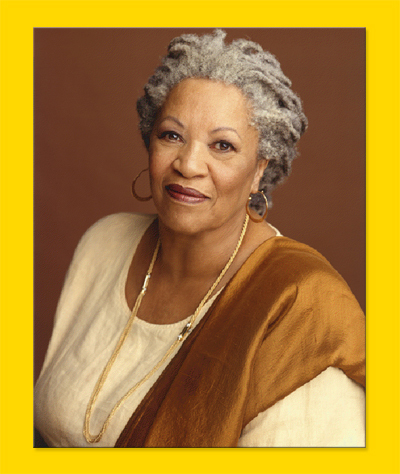 In this post I will tell you why I chose Toni Morrison. Or rather, as I meander, I will tell you about when I first met her (books). Toni Morrison has been with me since my adolescence. I remember reading Song of Solomon. I chose the book because of its reference to the book in the Bible. (I grew up in the church.) Where did I find that book? It must have been at the public library. In the summertime my mother would make sure we enrolled in the summer reading program, but I feel like I read that book in the winter. . . . Maybe I borrowed it from the school library. Regardless, I found that book. I read it. I was a new teenager—13, maybe 12. I don’t recall it really; it’s been decades since I’ve read it. But, I remember the character Milkman, and I remember the book was not what I expected. I remember its density and weight and beautiful language. I remember that after reading that book, I would not forget Toni’s name. I may not have understood fully what she wished to communicate, but I knew I wanted to be transported by her storytelling again and again. My favorite English teacher of all time, Mr. Williams, said, “it’s not how many books you read, but how many times you read the same book.” What did that mean to me when I was 17? Not much. Now, I understand. I understand that we change, and that we fundamentally stay the same. How are you as a person in your thoughts and ideologies different from the person you were half a lifetime ago? Last year? Yesterday? In what ways are you the same? As a writer who has kept a journal since pubescence, I see how much the thread/tread of my sensibilities and my foundation as a person, spirit, and artist has remained grounded in the same principles of who I am. Yet, my understanding of the world around me shifts and changes—like the rotation of earth around the sun, the shifting of the constellations, the seasons/reasons of shifting/changing. . . . Yes, I have digressed. Yet, to return, Toni Morrison has been with me as a writer. I have followed her through the years through most of her novels. This semester’s coursework in the History of Interdisciplinary Arts will focus on 1970-1979. So, I look forward to reading her earlier books again and to returning especially to Song of Solomon. And, as I am returned to the wisdom in Mr. Philip Williams’ words while reading this book, I will surely contemplate how the world around me has shifted and how that shift has affected my perspective of myself, my world, and my ideals. . . or not. This entry was posted in Uncategorized and tagged Philip Williams, public library, Song of Solomon, Toni Morrison. Bookmark the permalink.